Despite just having celebrated their 180th anniversary and debuted the stunning 10th timepiece in the Hybris Mechanica collection — the Master Grande Tradition Gyrotourbillon 3 Jubilee — in 2013, Jaeger-LeCoultre are certainly not resting on their laurels, taking a well-deserved break. The Jaeger-LeCoultre Master Ultra Thin Minute Repeater Flying Tourbillon, the 11th piece in the Hybris Mechanica collection, will be presented at the upcoming Salon International de la Haute Horlogerie in Geneva. It is one of the most horologically audacious timepieces to emerge from the 181-year-old Le Sentier manufacture, and we’re here to tell you why. Click here to jump straight to the technical specifications (including price) of the Jaeger-LeCoultre Master Ultra Thin Minute Repeater Flying Tourbillon, and read on for a breakdown of the incredible features in this new watch. 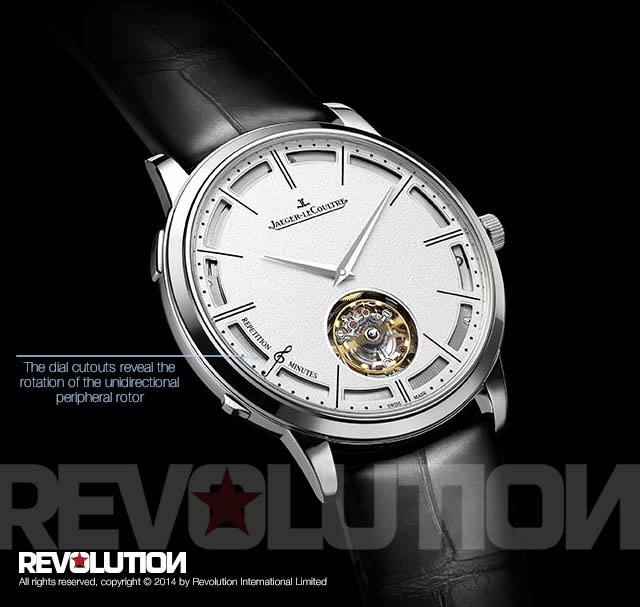 It is currently the thinnest minute repeater wristwatch in production. As of December 2013, the thinnest minute repeater wristwatch in production was the hand-wound Vacheron Constantin Patrimony Contemporaine Ultra-Thin Calibre 1731, which debuted at the inaugural Watches&Wonders in Hong Kong. The Calibre 1731 is 8.09mm thick, whereas the Jaeger-LeCoultre Master Ultra Thin Minute Repeater Flying Tourbillon is 7.9mm thick, also incorporates a flying tourbillon (completely unprecedented, more on that later) and is self-winding to boot. 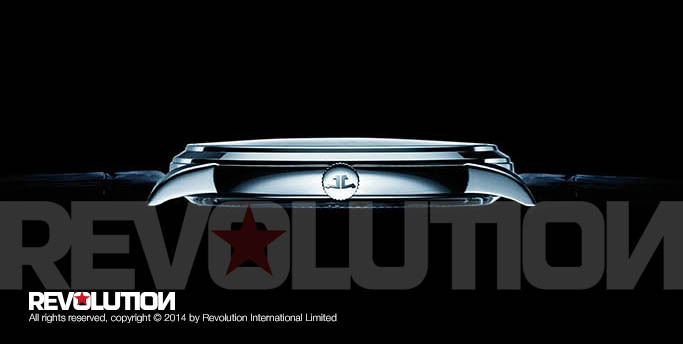 How have JLC managed to create a complicated watch this thin? Their historical expertise in thin watches — remember, for example, the expertly cantilevered “hanging barrel” that we saw throughout JLC’s extra-plat movements — has stood them in good stead here. Every component that can be whittled down has been trimmed. 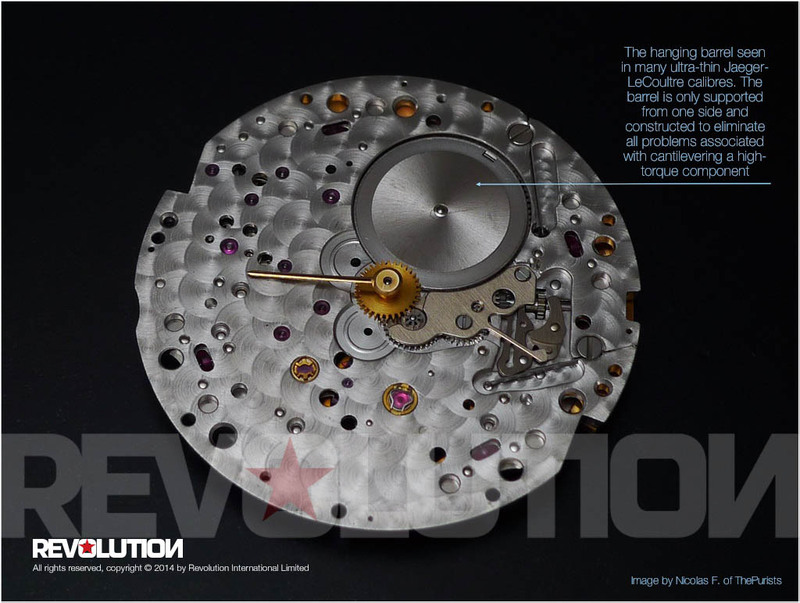 They have also done something completely new in a haut-de-gamme wristwatch of this calibre, which is to implement a peripheral winding system. A mechanism which provides the convenience of an automatic timepiece whilst allowing an unimpeded view of the movement, the peripheral winding system has only been attempted by a handful of companies over the years (including Patek Philippe, who filed a patent in 1968 for a variation of this mechanism, but subsequently found it unfeasible to implement at large), and most certainly not in a high-watchmaking creation of such staggering technical ambition as the Master Ultra Thin Minute Repeater Flying Tourbillon. In lifting the automatic winding module off the top of the movement and moving it to the perimeter, Jaeger-LeCoultre have succeeded in reducing the overall height of the movement by precious millimeters. You can see the rotor whirling about through the dial cutouts. In the same way that getting your finger caught in the frame of a door as it shuts will cause you a lot less pain than getting it caught in the hinge, winding a watch through gears set at the periphery of a movement is notorious for its low winding efficiency as compared to a centrally mounted rotor. Not only have JLC implemented a peripheral rotor in conjunction with the known energy guzzler that is the tourbillon, they have such confidence in its winding efficiency that the rotor winds unidirectionally instead of bidirectionally. That’s a ballsy move, and we like it. There ought to be absolutely zero question in anyone’s mind about JLC’s prowess in rotating escapements. During the 2009 Concours International de Chronométrie, the top two prizes were taken by the Jaeger-LeCoultre Master Tourbillon (first place) and the Jaeger-LeCoultre Reverso Gyrotourbillon 2 (runner-up). 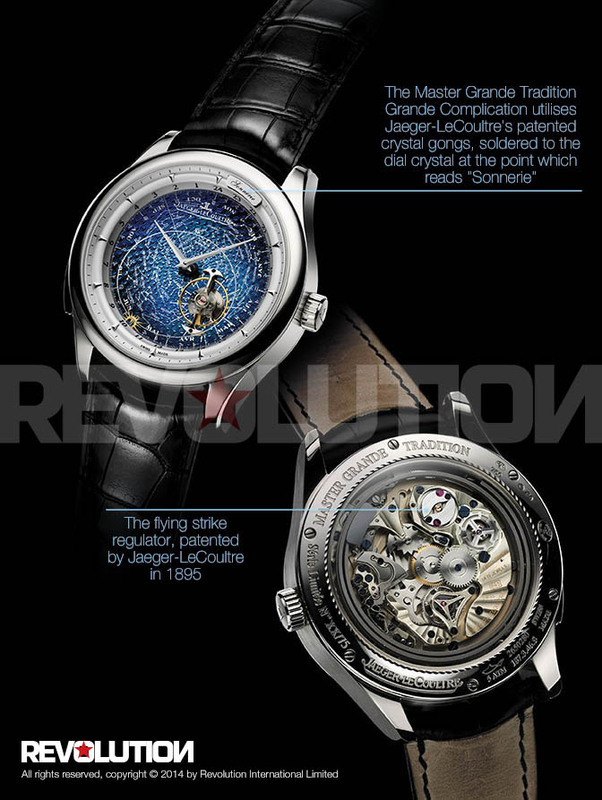 In the more cinematic field of flying tourbillons (where the bridge is taken off for a clearer view of the tourbillon), JLC have the Duomètre à Grande Sonnerie (2009), the Master Grande Tradition Grande Complication (2010), the Duomètre à Sphérotourbillon (2012), the Master Grande Tradition Tourbillon Cylindrique à Quantième Perpétuel Jubilee (2013) and — of course — the spectacular flying spherical tourbillon with spherical hairspring, the Master Grande Tradition Gyrotourbillon 3 Jubilee (2013). These are all hard hitters in the fine-watchmaking department, but the Master Ultra Thin Minute Repeater Flying Tourbillon raises the bar. Knowing Jaeger-LeCoultre’s skill in tourbillons as we do, we should all be in complete agreement that there is no other manufacture that could create this particular flying tourbillon. This flying tourbillon, unlike all other flying tourbillons, possesses a balance wheel and hairspring set on display with absolutely no visual impediment — no bridge, no upper cage, not anything at all. 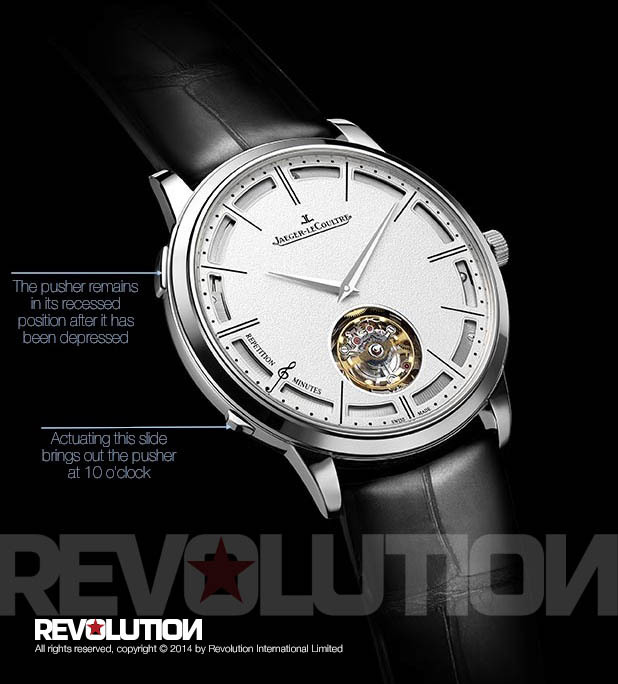 JLC have done this by inverting the order of the hairspring’s pinning points — so that the inner point of the hairspring is mobile relative to the balance wheel (it is actually pinned to the tourbillon arbor which runs throughout the tourbillon assembly) and the outer end is pinned to an arm of the balance. Traditional constructions have the inner coil of the hairspring pinned to the balance staff and the outer end attached to a mobile stud, and it’s testament to Jaeger-LeCoultre’s inside-out knowledge of classical watchmaking that they’re able to turn things around in such stunning fashion — and still make it work to their advantage! Uncaging the tourbillon allows for a larger balance, which means the balance can be poised to a greater degree of accuracy. Combined with the oscillation rate of 3Hz (21,600vph), which is virtually unheard of in tourbillon movements with such large balance wheels, this gives the Master Ultra Thin Minute Repeater Flying Tourbillon unmatched stability of rate and an enhanced capacity for precision timekeeping. Of course, this works very well in theory. How about real-life performance? As we can see by the stripped-down tourbillon construction, Jaeger-LeCoultre are clearly not expecting anyone to simply take their word for it. If it’s proof we want, it’s proof we’ll get. With the new, completely exposed, flying tourbillon, Jaeger-LeCoultre are making a statement about how willing they are to subject their high-performance watches to scrutiny. The maison’s irrefutable strength in technical products needs no smoke or mirrors — the only Jaeger-LeCoultre haut-de-gamme timepiece that ever hid its tourbillon away on the back of the watch was the one which already featured a perpetual calendar and grande et petite sonnerie with Westminster Chimes on the front. Speaking of chiming watches — the Master Ultra Thin Minute Repeater Flying Tourbillon makes advances in this field as well, and it shouldn’t come as a surprise to any of us. 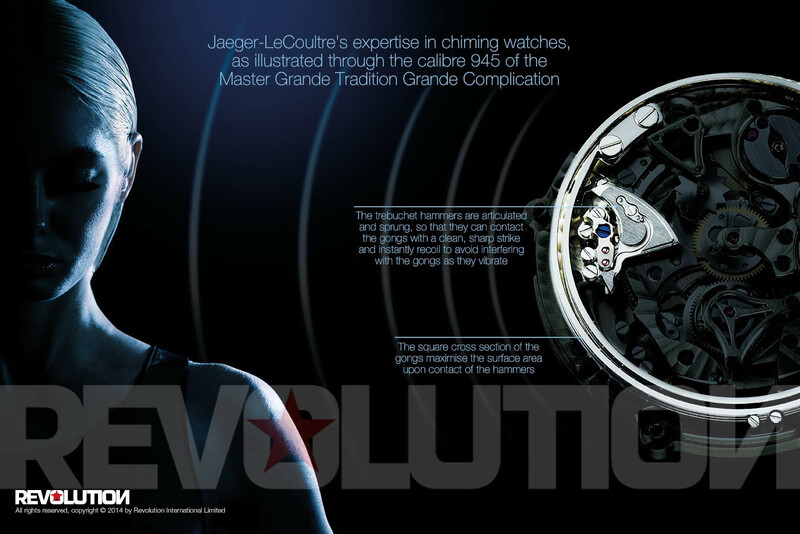 As it has in so many other areas, Jaeger-LeCoultre has staked out a stronghold in the territory of chiming watches. There are very few watchmaking companies that can lay claim to in-house sonnerie expertise and even fewer who have been making them since 1870 — close to one-and-a-half centuries. Set the parameters a little tighter and very quickly you will find that there is only one manufacture in the entire world that can name over 200 chiming watch calibers in its historical and present-day inventory of horological savoir-faire: the Grande Maison of Le Sentier. Not many people know that the flying strike governor which is ubiquitous in chiming watches today was patented in 1895 by Jaeger-LeCoultre. It’s safe to say that the contemporary chiming watch would be very different today if not for this invention. In 2005, Jaeger-LeCoultre presented its crystal gongs in the Master Minute Repeater Antoine LeCoultre, which successfully turned the dial-side sapphire crystal into a resonator for the minute repeater gong, fully exploiting the superior acoustic qualities of this material. In 2009, the Duomètre à Grand Sonnerie featured, for the first time in any watch, the articulated hammers known as trebuchet hammers. These sprung hammers recouped over 80 percent of energy lost in traditional minute repeater construction, allowing a chime of unprecedented strength to be propagated through the crystal gongs. The crystal gongs and the trebuchet hammers are combined in the striking function of the Jaeger-LeCoultre Master Ultra Thin Minute Repeater Flying Tourbillon, but it wouldn’t be a Hybris Mechanica timepiece without additional advancements in the art of sonnerie watches. 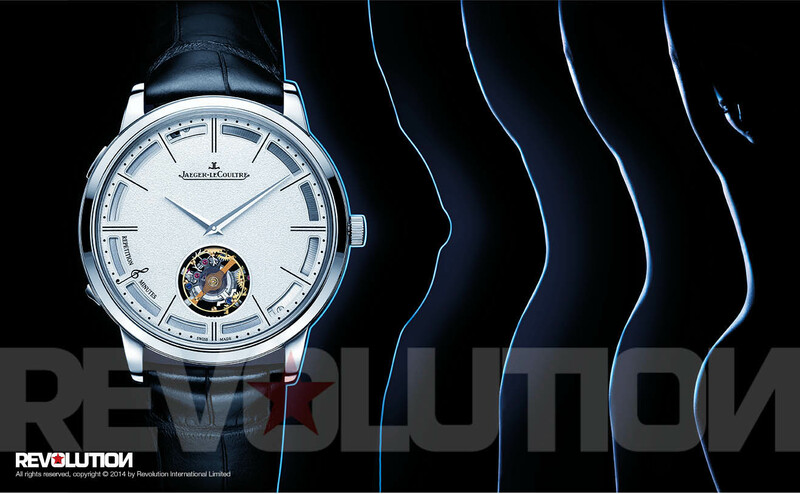 Jaeger-LeCoultre have integrated a silent-timelapse reduction feature into the strike train. This completely eliminates the suspenseful pause between the chiming of the hours and minutes when there are no quarters to be struck — that is, between the first and 14th minute of each hour. In any other minute repeater, the silent timelapse is actually the time taken for the quarter rack to fall onto the quarter snail, sense the number of quarters to be struck (none, in this case), to be driven forward by the repeater spring and to drive the minute rack in turn. All this under-the-dial action is apparent if the minute-repeater mechanism is exposed, but if the mechanism is hidden, as it is in the Jaeger-LeCoultre Master Ultra Thin Minute Repeater Flying Tourbillon, then one is merely left with a rather substantial gap in which nothing really seems to happen — not a feeling one particularly wants to receive from a mega-exclusive watch such as this. Jaeger-LeCoultre have therefore bypassed the quarter-striking system altogether when there are no quarters to be struck, and seamlessly joined the hour strike end-to-end with the minute strike. The other new feature implemented in this watch is the retractable pusher to activate the strike train. Unlike other minute repeaters, which incorporate a protruding slide or pusher into the case-middle, the Jaeger-LeCoultre features two discreet bumps at eight and 10 o’clock. The bump at eight o’clock is actually a switch that, when slid along the case-middle, draws out the pusher at 10 o’clock. Actuating the pusher then completes the full winding of the repeater mainspring and releases the strike train for chiming the time. Once depressed, the pusher remains in its recessed position and the round lines of the case, symbolizing perfection through an uninterrupted circle, are impeccably maintained. This double-switch-pusher repeater actuating system also allows the case to be made water-resistant more easily — water-resistant minute repeaters are rare, yet the Jaeger-LeCoultre Master Ultra Thin Minute Repeater Flying Tourbillon is rated to a depth of 3bar (30m). This depth rating has more to do with the timepiece’s ultra-thin construction than the minute repeater within it. Whereas previous minute repeaters were obliged to have zero depth rating in order to have the case effectively transmit the chime (the muffling effect of rubber gaskets would have ruined the sound quality), the crystal gongs have rendered this issue moot — the Master Minute Repeater Antoine LeCoultre is water-resistant to an astounding 5bar (50m), as are all models of the Master Grande Tradition Minute Repeater. At this moment, the Jaeger-LeCoultre Master Ultra Thin Minute Repeater Flying Tourbillon looks set to be the most technically impressive watch to debut at the Geneva fair later this month, and there’s no doubt we’ll be talking about this watch for months (and years!) to come. On a scale of 1 to 10, it’s an 11. 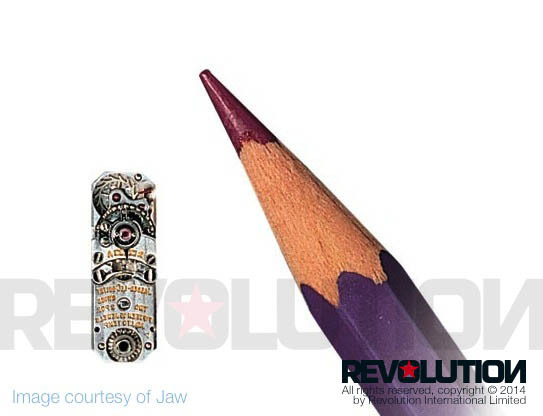 For a fuller explanation of the innovations and the background of this watch, order your copy of REVOLUTION Asia #36 through [email protected] now. Mechanical automatic movement, Jaeger-LeCoultre Calibre 362, crafted, assembled and decorated by hand; 45-hour power reserve; 21,600 vibrations per hour; 471 parts; 4.8 mm thick; 33.3 mm in diameter. In comparison, the Master Grande Tradition Gyrotourbillon 3 Jubilee is priced at EUR 378,000 (VAT inclusive). Click here for an in-depth look at the Gyrotourbillon 3.